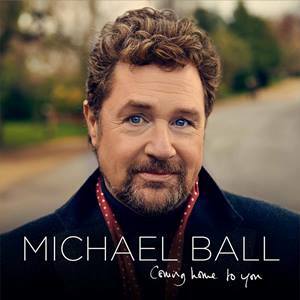 Olivier Award-winner, multi-platinum recording artist, TV host and radio presenter, and one of Britain’s leading musical theatre performers, that’s Michael Ball. On Sunday, 1 September he leads the cast of Summertime – An Evening of Gershwin as part of the Live By the Lake season at Kenwood House in Hamsptead, London. 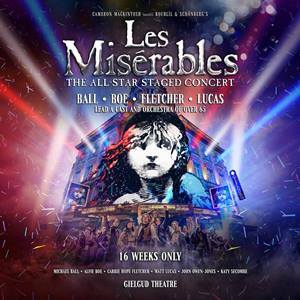 Also in the cast are Kerry Ellis, Gina Beck and David Shannon, with Jae Alexander as musical director. See Musical Theatre Review’s competition to win tickets – www.musicaltheatrereview.com/win-tickets-for-live-by-the-lake/#.UgiotI7UNMJ. Since making his West End debut 25 years ago as Marius in the original production of Les Miserables, Ball has created a string of leading characters in the West End and on Broadway in shows such as Aspects of Love, Passion, Chitty Chitty Bang Bang, The Phantom of the Opera, Woman in White and Hairspray. His performance as Edna Turnblad in the West End production of Hairspray earned him an Olivier Award for Best Actor in a Musical in 2008, as did his portrayal of the title role in the Chichester Festival Theatre production of Sweeney Todd opposite Imelda Staunton as Mrs Lovett (2011, and then transferred to the West End in spring 2012). Ball is also a familiar face at Radio 2 and he continues to record and tour the UK. Will Kenwood be a new experience for you – singing in a mini Hollywood Bowl? Michael Ball: No, I’ve sung there before – in fact it was in the summer of 2008 with Lesley Garrett. We performed a concert of favourite songs and arias and it was the perfect way to spend a summer’s evening. Kenwood House is a beautiful location and the grounds are lovely. Have you sung much George Gershwin in the past? MB: Surprisingly not! I’ve sung the odd song here and there but never really included Gershwin songs in concerts or recordings so this is a great opportunity for me to sing live the songbook of a man I absolutely adore and who has influenced so many of the writers whose music I have sung. Do you have any favourite Gershwin numbers and have you chosen your own programme? MB: The programme has been chosen by me, musical director Jae Alexander and producer Andrew Wicke. Hopefully we’ll be playing to the strengths of all the vocalists who are appearing on the bill with me – that’s Kerry Ellis, Gina Beck, and David Shannon. If I could choose one favourite song though I think it would have to be ‘I’ll Build a Stairway to Paradise’ sung by Georges Guétary in An American In Paris; of course the entire score is littered with great songs like ‘I Got Rhythm’ and ‘’S Wonderful’. Have you made (m)any discoveries among the Gershwin material while you have been preparing for the concert? MB: What’s always amazing is that you realise you pretty well know all the songs, they really are timeless. Would you agree that George and Ira made a perfect combination – beautiful melodies matched to original, clever and witty lyrics? MB: I totally agree and let’s not forget when they were writing together, George and Ira were breaking new songwriting ground: brothers working exclusively together for many years, composing dozens of scores for Broadway and Hollywood. What an incredible partnership. They created beautiful melodies and lyrics of songs that are now part of the Great American Songbook – ‘Someone to Watch Over Me’ is one of my favourites. Have you ever thought what the world of music would have enjoyed had Ira died at age 39 instead of George? We would have had hundreds more songs and who knows how many other ‘classical’ works, but then we would have missed the lyrics Ira wrote for Jerome Kern, Kurt Weill and Harold Arlen. Best not to think about it – we lose either way! MB: It’s always fascinating to ponder what amazing work would have been presented to us if all sorts of people had lived! MB: I plan for all of these things, it’s finding the time and the order in which to do them. At the moment I’m researching material for a new album which will hopefully arrive in 2014 and I’m having a fantastic time doing my radio show on Sunday nights. I recently sat in for Ken Bruce on BBC Radio 2 every morning for two weeks presenting the programme live. When it comes to presenting live, the adrenaline, the responsibility and excitement and responses from listeners all go towards making a live show. It’s very exciting, it’s nervewracking, but I love it! On a personal note, do you have a favourite musical/s? MB: Gypsy – I’ve seen Tyne Daly, Bernadette Peters, Bette Midler in the lead role and of course I’ve seen the movie with Rosalind Russell. But I can’t wait to see Imelda Staunton doing it if the rumoured production in Chichester happens – I think she will be absolutely brilliant.